• Unlimited calling to other AT&T wireless customers with Mobile to Mobile while in the U.S.
• No roaming or long distance charges in the U.S.
• Get unlimited calling to and from your favorite U.S. phone numbers at no extra charge with A-list. No long distance or roaming charges for voice calls between the US and Canada and a data pay-per-use rate of $2/MB in Canada. ** Mobile to Mobile only applies to calls made and received while in the U.S., Puerto Rico, and U.S.V.I. † Add any U.S. number, on any network - including landline numbers. Calls to and from your A-List numbers are not charged against your rate plan, Mobile to Mobile, or Rollover® minutes. Senior Plan - Available to customers 65 and older. *Unlimited weekday minutes from 9pm to 6am and unlimited minutes on weekends. Call the people who matter most to you—regardless of which carrier they use. myFaves plans give you unlimited calls to the five numbers you call most, as well as free domestic long distance and no digital roaming charges anywhere across the US. All myFaves plans require a two-year contract. Family matters, and so do savings! You get both with two lines, up to three more lines at just $9.99 each, a shared pool of Whenever Minutes®. myFaves Family plans also include unlimited calls to the five numbers you call most—and everyone can choose their own top five. All family plans require a two-year contract. 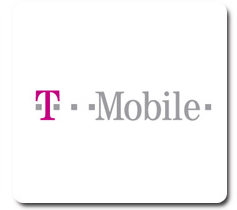 Individual T-Mobile @Home* provides you unlimited nationwide calling from home. Just plug in your home phone line to a T-Mobile @Home® Wireless Router with Home Phone Connection (broadband internet connection required) and you're good to go. *Wireless service through T-Mobile is required for T-Mobile @Home. Prices are exclusive to T-Mobile.com and valid only with new service activation.